Welcome back fellow travelers!!! Up next is my final Suitcase Series pick for the month of September. 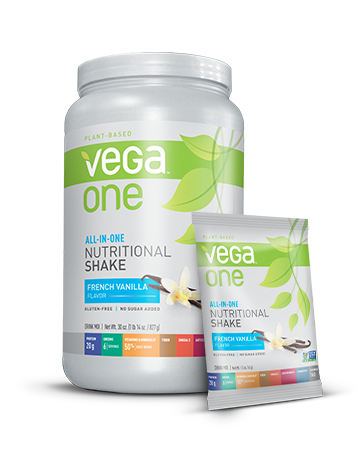 I’m sharing with you today, the oh-so-fantastic VEGA ONE, all-in-one nutritional shakes and VEGA SPORT, performance protein powders. These healthy, plant-based drinks are perfect for the avid and leisure traveler, so prepare to include them on your next trip-to-come’s checklist! Why the VEGA line of plant-based, all-in-one nutritional shakes and protein powders made my 2015 Suitcase Series cut? Answer-Because… they’re nutritious, delicious and simple to transport. Life on-the-move can be grueling, so when you find a product that aids in the support of your body’s maximum performance, it’s a keeper! Taste is another key factor in the all-in-one and protein shake journey. Let’s be honest, there are a number of them on the market that taste like chalk…or at least what I imagine chalk tastes like, but Not VEGA!!! The other obstacle is often finding items that come in travel sizes, otherwise you’re faced with having to measure and scoop from a large tub and transfer into some type of travel proof container. VEGA obviously took this into consideration when they created their products. They can be purchased in canister form or box, with single serve packs of 10-12, 1.2 or 1.5 oz packets, making it the perfect travel partner. They fit snugly inside just about any luggage pocket, so they won’t require too much space, leaving room for other necessities like… shoes or something:). Additionally, the powder mixes well with the right liquid ratio and adds a fantastic punch to any fruit-filled breakfast. I especially enjoyed the French Vanilla flavor, while the mocha recovery certainly satisfied my chocolate, post-workout cravings. Over the course of my review, I created several smoothies, consisting of variations of almond or coconut milk, alongside a rainbow of fruit, such as strawberries, bananas, kiwi, blueberries, mango or pineapples, paired with kale or spinach and my VEGA ONE shake mix. It was a fantastic start to each of my days. I was equally as happy with the VEGA SPORT, which comes in three levels; prepare, sustain or recover. The Recover was definitely the best choice for me because of my hectic travel schedule. Many times, my ability to keep up my normal workout regime suffers. When this occurs, it forces me to cram in a month’s worth of gym sessions in shorter periods, leaving me with minimal time to recover in between workouts. 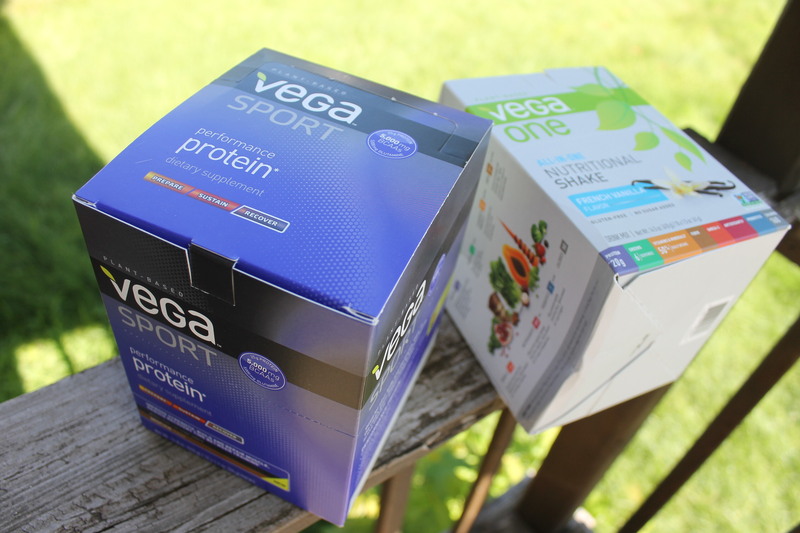 VEGA SPORT is said to “improve strength, build and repair muscle, and reduce recover time between training.” Body Builders and healthy lifestyle advocates swoon over these products, and now I see just why. They provided an excellent boost to my system and supplied a mass amount of nutrients needed to maintain my diet, while on-the-move. This was a huge plus! 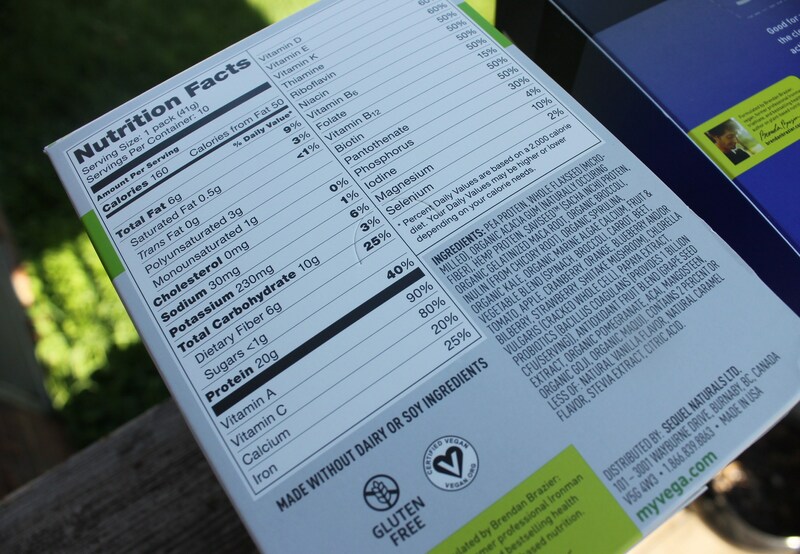 The VEGA shakes are made from “real, whole food ingredients.” They offer “20 grams in premium plant-based protein, 6 servings of greens, provide 50% of daily intake for food-based vitamins and minerals, 25% of the necessary fiber, 1.5 grams of Omega-3s, are full of antioxidants that protect against free radicals, include probiotics to promote healthy flora (1 billion CFU,) and the French Vanilla flavor for example, is only 160 calories. Not only do the shakes have a wealth of goodness, but they also taste amazing, too. Directions instruct users to mix with water, a non-dairy beverage or within a smoothie. I elected to use each of my single serve packets as part of my daily smoothie- over the span of a few weeks. I was fortunate enough to review the delicious VEGA ONE, French Vanilla and the VEGA SPORT (Recover,) Mocha flavors. 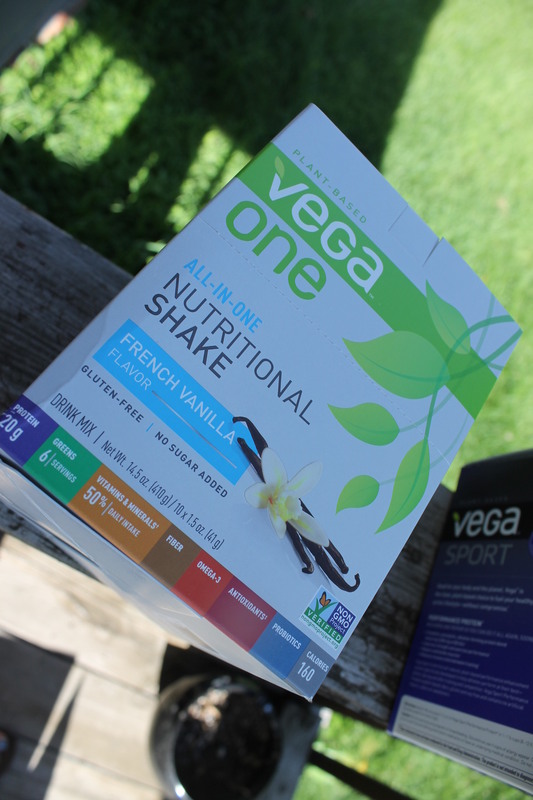 VEGA ONE shakes also come in Chocolate, Natural, Berry and Vanilla Chai. This complete protein is a wholesome combination of pea, hemp, saviseed and micro-milled flax. The 6 servings of greens comprised in the shakes include kale, broccoli, Vega Chlorella and spirulina, as well as a mix of whole food fruits and other vegetables. It’s certified vegan, gluten-free and non-GMO. 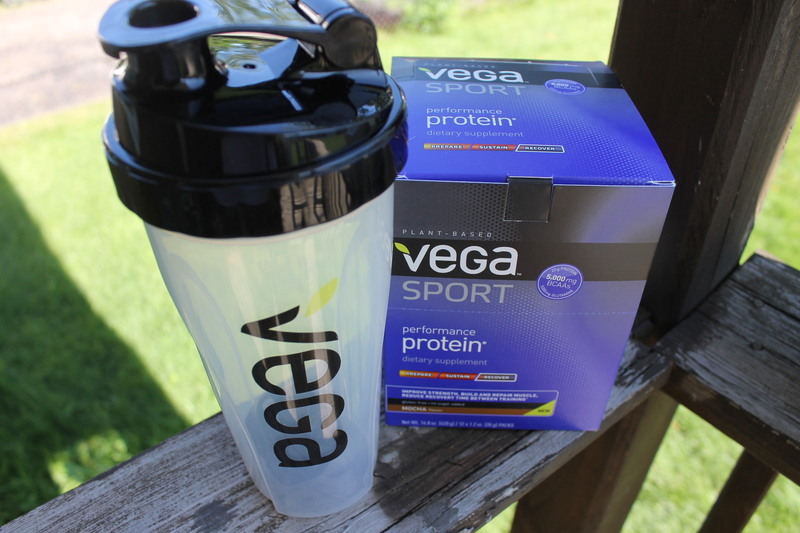 The VEGA SPORT is an “alkaline-forming protein blend, featuring 5,000 mg of BCAAs” and is a performance enhancer, created to help us “recharge and repair,” thus cutting down recovery time in between training. This line is the 1st “all-natural, plant-based performance enhancement system specifically developed to help athletes perform at their best-before, during and after training and competition.” It’s also dairy, soy and gluten-free and contains no artificial sweeteners, flavors or colors. I’ve not had the opportunity to sample the entire line of VEGA products, but I’m so pleased with my introduction, that I can’t wait to try some additional items. I can only imagine how tasty they must be. I can already imagine drinking that Vanilla Chai in the near future…. yum yum. Stay tuned for more reviews to come, and for more information on where to snag these and other VEGA goodies, visit http://www.myvega.com. Travel healthy! 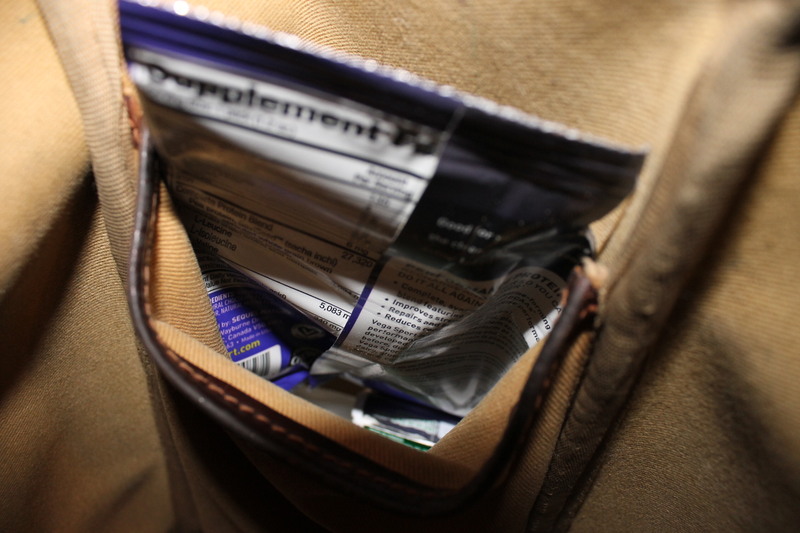 A VEGA SPORT, single serve pack inside the inner pocket of my travel bag before departure. There is room to fit up to 4 single serve packets in this one pocket, while the rest fit nicely inside my large roller bag pocket.